Home » Quality Carpet Cleaning Richmond. Call Us Now! Quality Carpet Cleaning Richmond. Call Us Now! Did your toddler just start crawling and spending all day long on the carpet? Well, you better make sure that the carpet is clean and safe for the child. The best way to do that is to hire us – a professional carpet cleaning company able to perform deep cleaning, thus exterminating all potentially harmful and dangerous germs, allergens, dust mites and other carpet and upholstery pollutants. You can easily obtain an excellent offer for carpet cleaning, and if you are interested for combined cleaning for your sofa, upholstery, curtains or mattresses as well. Just call 020 3746 6887 or fill in the online booking form and you will receive the best carpet cleaning Richmond TW10 offer from one of the top preferred cleanup companies in the area. SATSU Ltd. is being chosen by more than 15,000 customers from Richmond TW10 and the area annually. With more than a decade of experience in the cleaning business, we have learned to invest in hiring and training the best personnel and in buying and using only the top cleaning machines and products, in order to provide cleaning services which clients will appreciate and will want again. 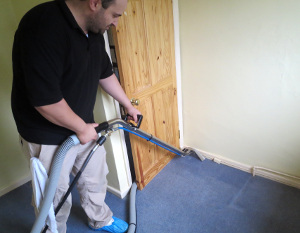 Our carpet cleaning Richmond offers can be either wet or dry, and depends on the type of textile cleaned, as well as on the specific cleaning needs, such as a stain, odour or other. The cleaning technicians are very well trained to choose the best cleaning option for every individual case, so you shouldn’t have worries about your carpet or furniture being damaged during the cleaning process. If your rug is not wool or synthetic, you will most probably receive dry carpet cleaning, because it is easier on the carpet textile. Even though it is a gentler method, it is still highly efficient in removing dirt and dust, as well as most stains from the carpet or furniture. This cleanup technique uses steam from boiling water and cleaning solution to actually wash the carpet. During the washing process, most of the water is extracted back into the machine along with all the dirt, residue, dust and the entire residue embedded deeply in your carpet. This carpet cleaning method eradicates all germs and removes any stains or odours from the carpet. If you really want to deep clean your home, you definitely need to request mattress cleaning as well. Mattresses tend to accumulate all the dead skin cells, germs, dust mites and other very revolting stuff, which is why it needs to be replaced or deep cleaned regularly. Since replacement is very costly, mattress cleaning is the best choice to keep your bed safe from germs and allergens. You probably spend quite a lot of time sitting and relaxing on your sofa or favourite upholstered armchair. But how often do you deep clean it? A lot of dust is accumulated in the furniture, not to mention all that staining which commonly occurs. This is why you should order sofa cleaning or upholstery cleaning from us. You can also request curtain cleaning, oven cleaning, window cleaning and end of tenancy cleaning. Call 020 3746 6887 to book your carpet cleaning, or cleaning of the mattress, curtains, upholstery and sofa. You will receive a prompt offer with all prices and relevant discounts. There are no hidden fees, nor are there booking deposits. All you need to do is call or make a booking online via the booking form, and SATSU Ltd. will be back to you will all the information as soon as possible. © 2013 - 2019. Satsu. All Rights Reserved. Company Name - SATSU Ltd.